3. A full inquiry into the spending and strategy of the OPDC, including the open publication of the bid for £250 million of Housing Infrastructure Fund (HIF) money so this can be properly scrutinised to see if it represents value for money. Cargiant are the landowners for 46 acres of land at Hythe Road NW10 from which they operate the UK’s largest ‘car processing’ operation. Since 2014 the company has partnered with London and Regional Properties and has been preparing a masterplan for a major development at Old Oak Park. The plans for this development went through 4 rounds of consultation in which local community groups and members of OONF were involved. We had assumed during 2018 that Cargiant and OPDC were holding detailed pre-application discussions and that an outline planning application would surface early in 2019. Now it seems that this was not from the case. It seems that OPDC told Cargiant to stop work on their masterplan in late 2017. OPDC had its own team of masterplanners, led by AECOM, working up its own detailed proposals for Old Oak North. The dispute between Cargiant and OPDC is a deep one, with allegations of false promises and bad faith. This article in the Estates Gazette gives a view from both sides Tony Mendes v Liz Peace. Cargiant explained their position at the OONF and GUA meeting on March 5th. They intend to continue and expand their existing business. (see at Cargiant.BriefingSheet.Feb2019) and to fight off OPDC proposals for compulsory purchase of slices of their land where this makes their operation unviable. Their earlier plans for relocating their entire operation they say are no longer viable, as a result of delays at the OPDC end. These events have big implications for the current examination of the OPDC Draft Local Plan. This is being carried out by Planning Inspector Paul Clark MA MRTPI MCMI. Public hearings are due to start on April 2nd. Cargiant will be giving evidence, as will OONF and the Grand Union Alliance along with other community groups. How is the Inspector to assess the ‘soundness’ and ‘effectiveness’ of a Draft Local Plan which (in its latest Regulation 19.2 version) relies very heavily on Old Oak North as the first phase of major housing development? How can the proposed ambitious housing targets (and extreme densities) for this area be assessed when the major landowner now has a very different view of the future of the site? Coupled with this is the continuing lack of decision by Government on the bid by OPDC for £250m of Housing Infrastructure Funds (essential to meet costs of infrastructure and land assembly). Funding for the ‘potential’ new Overground stations at Hythe Road and Old Oak Common Lane remains similarly uncertain, with Transport for London now cash-strapped by delays on completion of the Crossrail/Queen Elizabeth Line. The public sessions of the Examination of the OPDC Draft Local Plan will get interesting. These being held at the offices of London Councils in Southwark Street, starting on April 2nd. For more details see this OPDC web page on the examination process. OONF will be giving evidence at the hearings. Apart from the representations submitted previously at each stage of the Local Plan consultation, three further ‘written statements’ have been submitted to the Examiner. OONF Written Statement Matter 13 (Strategic Industrial land and the case for mixed use areas between Wormwood Scrubs and Park Royal. Anyone wishing to have the chance to speak at the EIP hearings should get in touch at oonforum@gmail.com. The Grand Union Alliance will have a ‘hot seat’ at the hearings at which local community groups can give evidence. Such evidence need to be well focused on a specific ‘Matter’ under discussion, rather than a general objection to the Local Plan. Members of the public can observe and listen at any time. Author henrypPosted on March 9, 2019 March 9, 2019 Leave a comment on Cargiant versus OPDC – what future now for ‘Old Oak North’? It is now nearly four years since the Old Oak and Park Royal Development Corporation started life on April 1st 2015. A moment for reflection. The Draft Local Plan is due to be ‘examined in public’ in April 2019. The first salvos in this process have been fired. The appointed Inspector is Paul Clark MA MRTPI MCMI. As the process requires, he has sent the OPDC a set of ‘initial questions’. The OPDC planners have responded to these. We hope that the Inspector will prove robust in his questioning of the key elements of the Local Plan, and particularly the Corporation’s decisions to stick rigidly with a 25,500 housing target with consequential ‘super densities’ proposed. Our Forum regularly raises the issue of planned housing densities at a new Old Oak. The average figure of 600 units per hectare proposed for ‘Old Oak North’ we believe to be a UK first (other than perhaps Isle of Dogs) and more akin to built forms in Hong Kong and Shanghai. As a comparison, the new draft spatial plan for Greater Manchester has just been published, with a proposed maximum density of 200 units/hectare in city centre locations and 120 homes per hectare in designated town centres. The Forum’s most recent meetings have been on November 8th 2018 and January 8th 2o19. This latter meeting was held jointly with the Grand Union Alliance and was very well attended with 60-70 residents present. The easiest way to catch up with discussions at these meetings is to check out the slide presentations. These are posted on our Newsletters and Meeting Notes page. OPDC is consulting on three Supplementary Planning Documents (SPDs). These cover specific issues, and are formal documents which support the Local Plan. One of these covers ‘planning obligations’. The are the financial contributions made by developers, via Section 106 Agreements ad the Community Infrastructure Levy (CIL). There was discussion at our January 8th meeting on why it is that OPDC has declined to date to start charging CIL payments from developers and successful planning applicants. This means that no CIL contributions have been raised from the series of tall towers at North Action, as approved since 2015. Nor for the three schemes along Scrubs Lane (on which there is still no sign of construction starting on site). Given the existing and potential impact of these schemes, particularly those at North Acton, local residents are concerned that developers are not being required to meet the Government’s CIL levy. CIL is designed to provide funds for the infrastructure costs that accompany new development, in terms of public realm, roads, schools and health facilities. The result of a ‘no charging’ regime by both OPDC and LB Ealing means that nothing has been collected to make up the ‘neighbourhood pot’ that would normally be available for local communities to have their say on infrastructure and other priorities. Of all CIL payments made to a London planning authority, 15% of the total is designated as Neighbourhood CIL. These resources are intended by Government to be allocated in consultation with local people. OPDC and Ealing are two out of only four authorities in London which have yet to start collecting CIL. Whereas in Brent, the total CIL amassed is substantial, and the Neighbourhood element runs to several millions over the 2017-20 period. The other two SPDs cover Daylight and Overheating in High Density Development, and Waste Management in High Development. Anyone who has lived in a high rise flat knows the risks that disposal of rubbish (including food waste) can become a major problem. At the consultation session on January 19th at the Collective in Old Oak Road, attendance of the public was limited to four residents. OPDC officers explained their determination to come up with ‘state of the art’ solutions on both waste disposal and the overheating problems that can affect very tall buildings. The worry for the public is that it will be LB Ealing, Brent, and Hammersmith & Fulham councils which will be collecting waste from the developments in their separate parts of the OPDC area. Each uses different methods and refuse vehicles. OPDC hope that joined up arrangements can be agreed. But even if this is acheieved, the densities and building heights proposed will present major challenges. There will be a lot of rubbish to be shifted, and disposal by residents themselves of discarded furniture and ‘bulky items’ will not be straightforward in new developments destined to be ‘car-free’. There is a further consultation taking place at All Souls Church in Harlesden on 5 February 2019 at 18.00. Author henrypPosted on January 20, 2019 Leave a comment on What’s new in 2019? The Development Corporation has ‘refreshed’ the membership of its Board and Planning Committee. A press release at this link gives the details. When Liz Peace took on the role of chair of the Board, she made clear that she wanted more people on the Board with experience of London’s development industry. The OPDC press release starts by saying The Mayor of London, Sadiq Khan, has appointed nine leading industry experts to join the Board and Planning Committee. Mini biographies of those newly appointed can be seen at a separate page on the OPDC website at this link. We local residents and businesses can form our own conclusions on whether these individuals are the right people to be progressing the next stages of regeneration and development at Old Oak. The Board membership continues to include the Leaders of the three councils from the area where the Development Corporation has been the planning authority since April 2015 (the Boroughs of Brent, Ealing and Hammersmith & Fulham). This is the sole element of democratic accountability on the Board. All other members (the majority) are appointed by the Mayor. Members of the Board who have served a three year term, and who have not been re-appointed, include Eric Sorensen and Amanda Souter. Amanda is the longstanding chair of the Wells House Residents Association. She has been active for several years in trying to extract information from HS2 on the details of their plans. Since 2015 she has been one of several people active locally in representing to the OPDC the views of those who live and work in and around the OPDC area. Amanda applied to join the OPDC Board back in 2015, and was appointed with a clear brief as the ‘community representative’ on the Board. In the recent appointment process for Board members, she re-applied but her candidacy was rejected. It appears from the interview process that her knowledge and experience of the development and property world was not sufficient to qualify her as a ‘leading industry expert’. The new board has no designated community representative. Two of the new Board members have a connection with the local area (one living within it and another working within it). It remains to be seen to what extent they feel they should be feeding into the Board the views and ideas of those whose lives will be most affected by the next two decades of development at Old Oak. This change in the Board’s composition is striking, given that the 2016 Review of the OPDC commissioned by Sadiq Khan specifically recommended that Support for business and community Board members must be provided to enable them to properly represent their constituent groups. Two years on, the OPDC’s response has been to abolish the community representative position altogether. Membership of the OPDC Planning Committee has also changed. Four councillors from the three Boroughs remain as members (with two from Hammersmith, this being the area most affected by new development). Will McKee remains as chair, with three independent members (Gordon Adams continuing, and Karen Cooksley and Sandra Fryer as new members). Mini biographies are at this link. The chair of the Planning Committee has a casting vote on the Planning Committee. So even if all four elected councillors vote against a specific planning application, this is no guarantee of refusal. During two years of discussion and negotiation with OPDC officers (including a presentation to the Planning Committee) our ‘interim’ neighbourhood forum made the case for the eastern part of the OPDC area to be designated as a ‘neighbourhood area’ under the 2011 Localism Act. The boundary that we proposed, after many meetings of the forum, included the residential areas of College Park and the Old Oak Estate, in north Hammersmith, along with the site of the Linford Christie Stadium on Wormwood Scrubs. The decisions made on our application, by the OPDC Planning Committee and Board and by Hammersmith & Fulham Council, shrunk the proposed neighbourhood area from 190 hectares an area of 22 hectares in East Acton ward of LB Ealing. This was despite a 6 week public consultation in which a sizable majority supported our original proposals. The Old Oak Neighbourhood Forum was formally designated by the OPDC in February 2018. Our efforts since then have focused on responding to further consultation on the OPDC Draft Local Plan (see below and previous posts). The OPDC has taken a new tack in recent months, by setting up a ‘Community Review Group’ which will review proposed developments at pre-application stage. This is welcome step towards greater involvement of local people in the design of new developments. The new group will operate alongside to the Place Review Group which OPDC already uses to seek views on planning applications from selected planning and architectural professionals. The Community Review Group is made up of 12 people who responded to an OPDC advertisement this summer. This Handbook explains how the Group will work and lists its membership. This is a novel form of public involvement in the planning process, and there are questions to be asked about the relative weight to be given to the views of the Group, as compared with representations on applications submitted by individuals or community organisations such as this Forum. This Draft Local Plan has yet to be ‘examined in public’ by a Planning Inspector. No date has yet been fixed for this public hearing. This is the last stage in the process of plan preparation, after which the final version (as modified by the Inspector) will be adopted by the Development Corporation. The Plan’s policies and site allocations will then be applied when planning applications are decided. The Forum continues to believe that the OPDC Draft Local Plan has many flaws. The most fundamental of these flow from the over-ambitious and unrealistic targets for housing and jobs that have remained fixed in the Plan since the publication of a first version in February 2016. These targets were first set in a 2015 review of the London Plan. Very little evidence to support them was provided at that stage, but the OPDC has treated them as set in stone. So forget large parts of the glossy videos and inter-active maps of the original ‘vision’ for ‘Old Oak South’ and ‘Old Oak High Street’ which we were shown over the past two years. 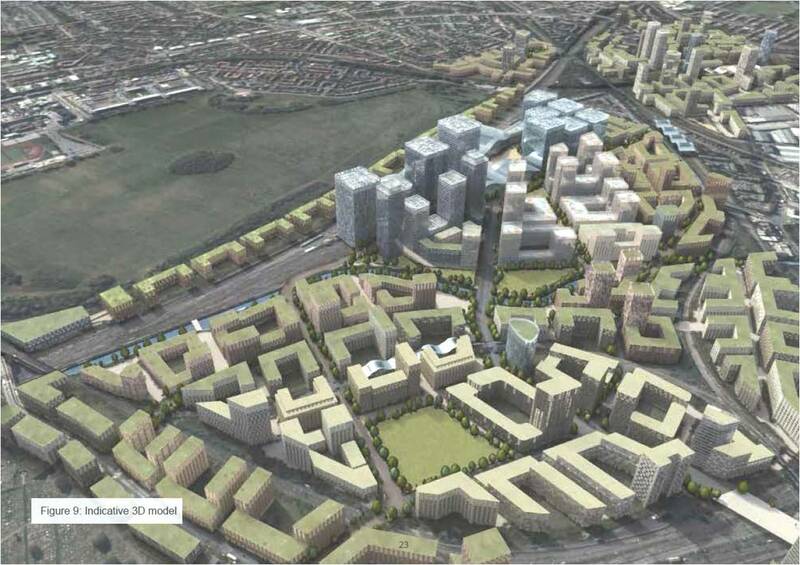 The focus now is on the Cargiant land as the first phase of likely significant development, and a new ‘Park Road’ between Scrubs Lane and the Oaklands housing development being built by Genesis/QPR on Old Oak Lane. This image below is the latest that has become available of the OPDC ‘masterplan’ as seen looking eastwards from above North Acton. 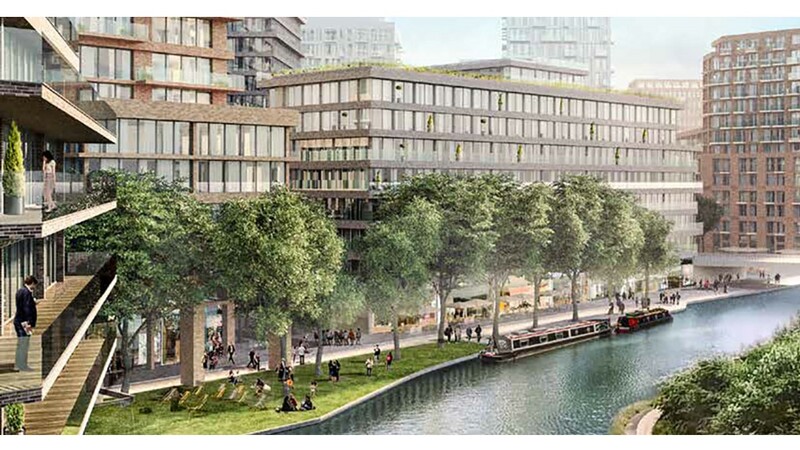 The target of a minimum of 25,500 new homes at Old Oak/Park Royal remains set in the new Draft London Plan, prepared by London Mayor Sadiq Khan over the past 18 months. This new Plan will undergo an Examination in Public with public hearings in January – May 2019. There are many London-wide bodies which will be questioning these targets at the hearings, and OONF is liaising with these. Meanwhile the number of planning applications for major schemes on sites within the OPDC area has diminished over the past year, reflecting the current weak state of the London property market (commercial and residential). There are no new applications to be considered by the OPDC Planning Committee at its 10th December meeting. 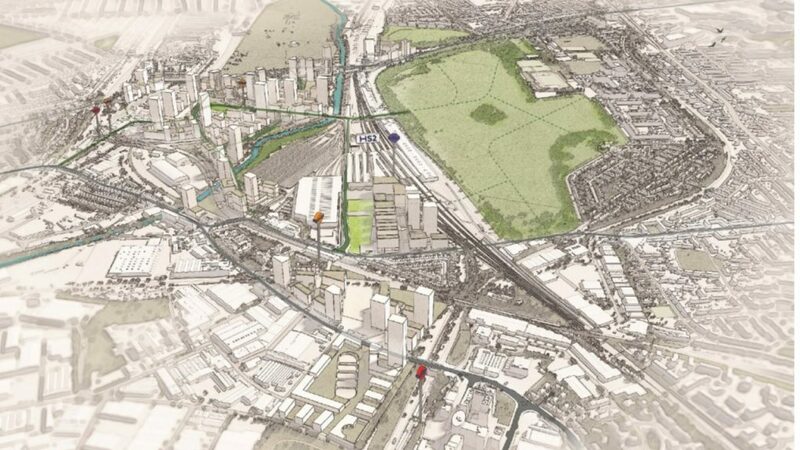 Proposed schemes in Scrubs Lane (‘North Kensington Gate’ and ‘Mitre Yard’) now have full planning permission granted. Both are listed as ‘not commenced’ in the Planning Committee agenda, along with Imperial College’s scheme for student housing at the former Perfume Factory. The scheme at 2 Scrubs Lane, previously approved, is back in pre-application discussions. For the very major scheme for 6,500 new homes at Old Oak Park (the Cargiant/London & Regional Properties landholding) the status update as reported to the Planning Committee is Pre-application discussions expected to recommence shortly. This has been the case for the past year. Once the dates are known for the Examination in Public of the OPDC Local Plan, the Forum will be meeting to prepare our evidence. OPDC decisions attract little London-wide public attention at present, and the EIP should provide a focus for wider interest and debate on the future of this part of London. Between 14 June and 30 July, OPDC consulted on a revised version of its Draft Local Plan. It is unusual for a Local Plan to need to be consulted on for a third time. The range and number of changes that OPDC had to make to its 2017 ‘Regulation 19’ version were such that a further round of public consultation was required. Our previous posts on the Draft Local Plan and on ‘how the key players responded’ explain the outcome of the 2017 round of consultation. OPDC planners have had to make substantial revisions to their proposals. The most significant of these is that Local Plan policies for ‘Old Oak South’ are not expected to take effect within the 2018-38 ‘plan period’. This area, north of Wormwood Scrubs, is to be the location for the HS2/Queen Elizabeth Line rail interchange, due for completion in 2026. The original OPDC 2015 ‘vision’ saw this ‘place’ as the commercial heart of a new part of London. But the constraints of existing rail infrastructure, including newly built depots, means that development is no longer seen as viable for a further 20 years. The Old Oak Neighbourhood Forum has long argued the case for use of the neighbourhood planning framework as a vehicle for creating planning policies and site allocations that can be adjusted to changed circumstances. The infrastructure costs of regeneration at Old Oak are such that funding through planning obligation receipts (CIL and S106) will never be sufficient to resource all OPDC ambitions. Major uncertainties remain as to how regeneration and new transport infrastructure can be financed. We believe that planning for the area should be more evolutionary and incremental, and will need more frequent review and updating than for most Local Plans. OPDC did not share our view that designation of a 280 hectare Old Oak neighbourhood area could have achieved a more responsive planning process. We think that Old Oak needs some realistic ‘meanwhile’ policies and site allocations, and a strong element of co-design with the existing local communities in the area. Brexit, a faltering London housing market, and the potential competing construction demands of Heathrow expansion, are all good reasons for avoiding an over-prescriptive and ultra high density Local Plan for Old Oak. Yet the 19.2 OPDC Local Plan heads relentlessly in this direction. A copy of the Forum’s consultation response to the OPDC 19.2 Draft Local Plan can be downloaded here OONF response to Regulation 19.2 OPDC Local Plan. OPDC intend to submit their finalised Plan to the Secretary of State in autumn 2018, with the Examination in Public held during the winter of 2018. Adoption of the Plan is scheduled for early 2019. There were 119 responses to the OPDC consultation last summer, on the Draft Local Plan. Following the efforts of OONF to see these responses published (see previous post ) a schedule of all responses has been made available at this link on the OPDC website. OPDC planning officers are continuing to amend the Draft Local Plan. The extent of changes and revisions means that it is likely (but not definite) that there will need to be a further round of public consultation on ‘major modifications’ to the 2017 version. This consultation will probably happen in mid 2018, with submission to the Secretary of State in the autumn. This delay will give the OPDC longer to take account of new policies proposed in the new Draft London Plan, currently out to public consultation until March 2nd 2018. Among the responses submitted last summer, there are a number from landowners and developers, promoting particular approaches and policies for specific sites. These include detailed proposals from Raban Goodhall for a mixed use development immediately north of Goodhall Street (in the TITRA area and within the boundary of the designated Old Oak Neighbourhood Area). Responses submitted last September from the Grand Union Alliance, Hammersmith Society, OONF, Harlesden Neighbourhood Forum and many individual residents are detailed, well argued, and take a broadly consistent line. It will be very hard for OPDC to ignore these comments. Recognition that plans for Old Oak South (the areas around the proposed HS2/Queen Elizabeth Line interchange) remain highly uncertain at present. While the prospect of ‘overdecking’ the main station ‘remains on the table’, HS2 make very clear in their own response that their remit is to construct a rail station with natural ventilation. No funding is yet committed for decking over the rail interchange or providing artificial ventilation to the rail interchange below. Hence the ‘vision’ of very high density 40-60 storey towers at the heart of a new Old Oak (i.e. 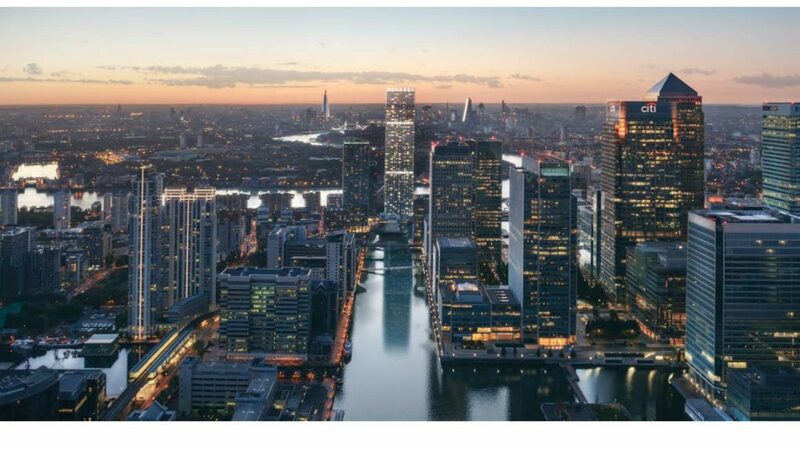 a Canary Wharf of the West as shown in the Boris Johnson 2015 OPDC Opportunity Area Planning Framework) is by no means a certainty. Old Oak North (the Cargiant/London Regional Property site) remains the area identified for early development (i.e. the next 10 years). Scrubs Lane and Victoria Road likewise. 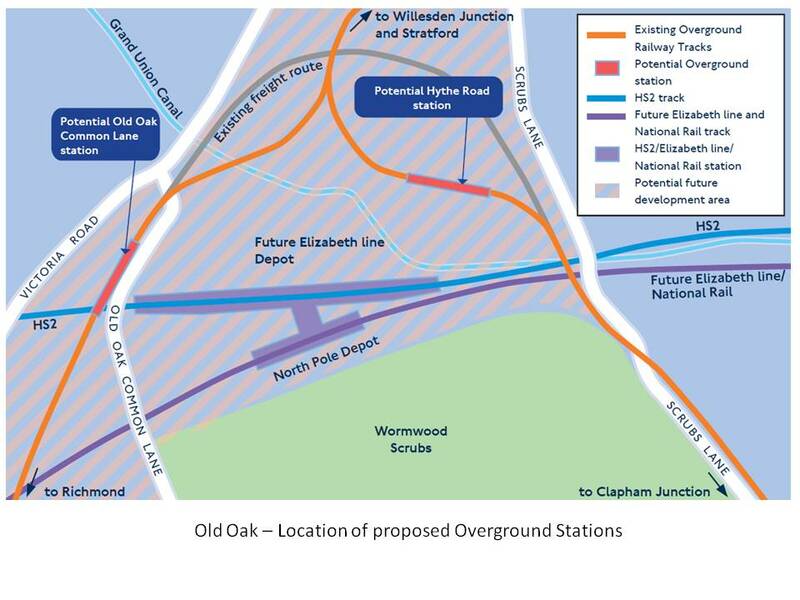 Transport for London have asked that the proposed two new Overground Stations, at Hythe Road and at Old Oak Common Lane, be referred to as ‘potential’ new stations. No funding source has yet been identified for these projects. Less emphasis is being placed on the proposed ‘Old Oak High Street’ because of the very high infrastructure costs of bridging rail lines and the Grand Union Canal. The next version of the Local Plan will be more explicit about housing densities, the location of tall buildings, and what OPDC define as a ‘tall building’ (the absence of such information in the Regulation 19 Draft was one of the main complaints of OONF and other respondents). On affordable housing, the next version of the Local Plan will take into account the Mayor’s ‘threshold’ of 35% affordable housing, for schemes where developers wish to avoid submission of detailed financial viability assessments. OPDC are looking to achieve 25% ‘family homes’ (i.e. 3 bed plus) with a split of 30% social housing and 70% intermediate housing tenure. The existing West London Waste Plan and present locations of major waste sites in the Old Oak area are a further complication. A masterplan for the Old Oak part of the OPDC area is being prepared by the consortium led by AECOM. The clients for this work are a separate department of the OPDC, acting as a developer of the large swathes of public land involved. Little information about this masterplan is yet in the public domain. Some form of public engagement process is expected in early summer. A key document emerging from this masterplanning exercise will be an updated Development Capacity study for. This will test the realism of the 24,500 housing target set for Old Oak. The adequacy of the existing evidence base for this target (which dates from the 2015 Further Alterations to the London Plan) was a question picked up strongly in responses from OONF and others to the Regulation 19 Draft Plan. The new London Plan sets an increased annual housing target for the OPDC area, from 1,100 units per annum to 1,360 units. Whether this proves at all realistic will depend on future (and uncertain) demand within the London housing market and the rate at which major developers such as Cargiant/London & Regional, and QPR/Genesis, choose to build out their schemes. The Great Place Scheme involves a widening group of local organisations and individuals. OPDC has been awarded almost £1.5 million of funding from the Heritage Lottery Fund, which will be used to enhance the role that arts, culture and heritage plays in the future of the area. A Local Heritage Listings consultation runs until 22nd March, giving people an opportunity to identify buildings for local listing. Listings do not benefit from statutory protection from demolition but they do assist OPDC in identifying non-designated heritage assets. This ensures that the conservation of a non-designated asset is a material consideration in determining planning applications. OPDC will be setting up a Community Design Review Group, which will involve local people in providing input on proposed developments, alongside the existing Place Review Group managed by CABE. No details are yet available on how this new group will be formed. In the run up to the September 2017 decisions made by the OPDC Planning Committee, OPDC Board, and Hammersmith & Fulham Cabinet, we tried to make decision-makers aware that they were ignoring Government guidance on neighbourhood planning, as well as the very clear outcome of the public consultation on our proposals for an extensive Old Oak neighbourhood area. Our letter to members of the Hammersmith & Fulham Cabinet can be read here OONF letter to LBHF Cabinet.V4. This includes a detailed annexe setting out why we think that the decisions recommended by officers were unjustified. The inaccurate information about responses from the Old Oak Friends and Residents Association is a particular concern. Unlike other London Boroughs, Hammersmith & Fulham still does not seem to understand the basics of neighbourhood planning. As on a previous occasion in 2012, the Council’s response has been one of minimal compliance with the 2011 Localism Act by designating a much smaller area than that proposed, and one that nobody has applied for. In designating a separate neighbourhood area, the Council has also frustrated the expressed wishes of those respondents to the consultation who wished to see Wormwood Scrubs, the Old Oak Estate, the Linford Christie Stadium, Woodman Mews, Scrubs Lane and College Park as part of a coherent wider neighbourhood area. OPDC officers have devoted an enormous amount of time and energy in finding reasons to justify removing 89% of the 280 hectare neighbourhood area originally proposed in the OONF designation application. This was after 18 months of discussion on the proposed boundary. A letter was sent to OPDC Board members from the St Quintin and Woodlands Neighbourhood Forum, prior to the Board’s final decision on September 12th. A copy can be read here StQW to OPDC on OONF designation. Sept 2017. The principle applied by OPDC officers, that parts of a neighbourhood area have to show uniform or consistent characteristics to be ‘appropriate’ for designation, is entirely novel. Nowhere else across England has this approach been applied, in the 2,000 or so neighbourhood areas designated to date. London already has several neighbourhood areas as large as the 280 hectares proposed at Old Oak, and ones that include brownfield land, railway infrastructure, Opportunity Areas, open spaces of London-wide significance, and other features which OPDC officers seem to think should be classed as ‘diverse character areas’ and hence ‘inappropriate’ for inclusion as part of a single designated neighbourhood. The attitude of both these local planning authorities is proving to be very defensive and negative. Significant and sustained efforts by local residents to contribute to the planning of a future Old Oak have been rebuffed. Both bodies are offering meetings to discuss alternative forms of ‘dialogue’ and ‘engagement’. But this is not the same thing as granting local people what is now a widely accepted and meaningful role in the planning process, through preparation of a neighbourhood plan. Parliament introduced neighbourhood plans in 2011 as ‘powerful tools’ for local communities to influence what sort of development takes place in their area (within clearly defined limits). The OPDC and Hammersmith & Fulham Council appear to have taken fright at this prospect. This does not bode well for creating a successful and sustainable new part of London.